Alpha-1 Antitrypsin Deficiency is a disease that effects the lungs and liver. Alpha-1 is a protein needed for the lungs and liver to function properly and individuals with this disease do not produce the Alpha-1 protein. Alpha-1 is a rare disease, effecting only 2,500 people in the United States. 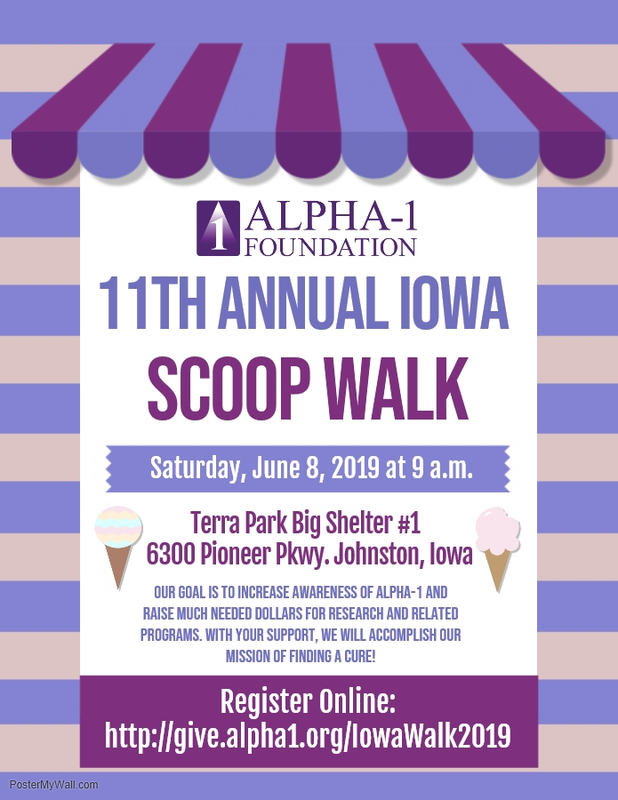 We are organizing an Iowa walk to raise awareness of the disease, support those in our community who live with this disease, remember those in our communities who have given their lives to this disease and raise funds for a cure. 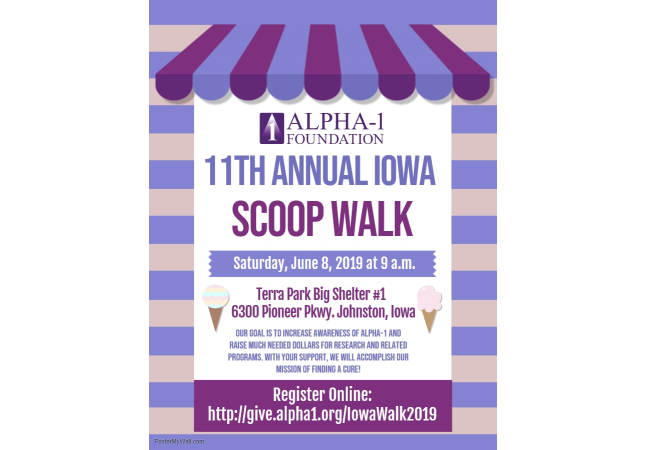 Please join us on June 8, at 9AM for the 11th Annual Iowa Scoop Walk! Registration is $25 for adults and $10 for children and includes a t-shirt and lunch will be provided.